God speaks to His people! Today, through Jesus Christ, He lives in you. How do you learn to hear Him speaking into your heart, and really know it’s Him? Kingdom Faith Ministries International is devoted to helping God’s people learn to hear and obey His still small voice. Deuteronomy 8 declares that God’s purpose in having His people wander in the wilderness for 40 years was to learn to hear and live by every word that proceeded from His mouth. God is still speaking, and like the Israelites, we must learn how to hear Him with confidence and precision. Are you eager to hear what the Lord Jesus Christ is speaking today to those who have discovered how to find Him in the secret place and drink from His fountain of Living Water? He will invite you to sit on His throne if you overcome in the pursuit of hearing His voice (Revelation 3:21). Browse these pages to discover how we might help you in this wonderful quest. Kingdom Faith Ministries International is helping Christians around the world grow in their personal fellowship with Jesus Christ, especially through learning to hear and obey His voice with confidence. If you receive a blessing from our ministry, please prayerfully consider how you might join in God’s work through Kingdom Faith Ministries International. Our books, videos, and other materials are blessing and ministering to Christians around the world, leading them into closer relationship with God, His Son Jesus Christ, and a life led by the power of the Holy Spirit. A new year brings hope, a sense of new beginnings and better days. For many, it’s a time to redefine goals and sharpen our focus on what is truly important. As Christians, perhaps now more than ever we need to stay strong in the Lord. This verse begins a section of scripture—Ephesians 6:10-17—which gives us the crucial reminder that at its core, life is spiritual. We’re to “put on” the armor of God to ready ourselves for the spiritual battle at hand, and to be victors in this life through Christ. The armor of God is more than just a protective covering—it’s the very presence of Christ Himself. By putting on the armor of God, life becomes no longer about simply fulfilling our own desires, but allowing ourselves to be transformed into His likeness, so we may carry out His work in the world. 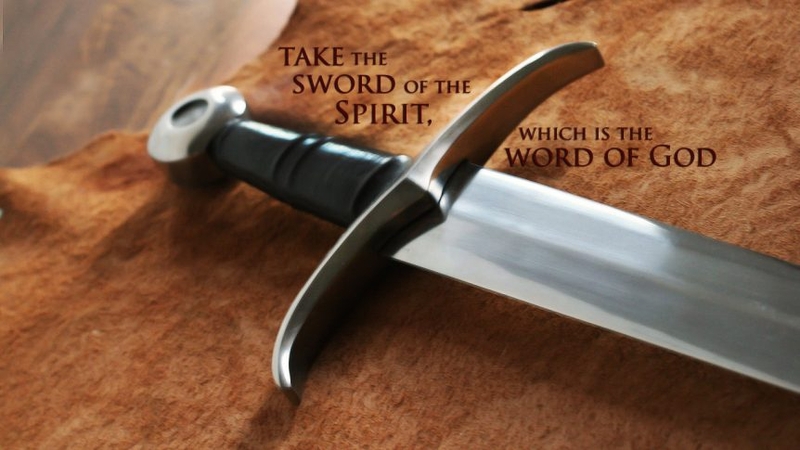 As the only offensive weapon on the list, the sword of the Spirit is significant! A rhema (word) is a “speaking.” This certainly includes the written word of God. In the gospels we see Jesus, when confronted by the devil, bolding proclaiming “It is written . . .” as He quotes from the Old Testament. Most notably for us today, a rhema is also a speaking by the Holy Spirit into our Spirit—a revelation word for a specific situation in the moment. The rhema of Christ must be wielded like a sword—spoken out and acted upon—to yield the results God desires. God has given us this magnificent imagery of the armor so we might draw near to Him and experience His presence and power—thereby enabling us to be victorious in the spiritual battles of life. The power of God is demonstrated by the rhema of Christ. Perhaps our greatest goal for the new year should be to sharpen our swords—to spend more time in His presence, to learn to hear His voice as He speaks rhema words to us—and to proclaim His word, His power, and His love to the world around us greater than ever before. At KFMI, we want to start the new year strong—strong in the Lord, equipped with the full armor of God—living day by day in His presence. One of the defining differences between the Kingdom of God and another person’s kingdom is their agenda. The word “guile” means crafty, using deceit, a trick or bait that is (figuratively) wily with subtlety. Instead of having a pure heart that is tender and open to God, a person with guile is calculating toward accomplishing his or her own agenda, often to make a reputation and claim credit for it. Where a pastor has such calculation, God’s favor is absent. As a result, the agenda advances without God’s blessing. Instead of doors opening with ease by God, the agenda-driven pastor becomes a lobbyist. Consider someone who searches the worldwide Internet for new donors to their ministry or orphanage, church building project, or other Christian-sounding cause. How about those who add to themselves new titles (apostle, bishop, prophetess) and circulate impressive poster photos of themselves as leader of a new crusade. These can be common examples of guile. The reason a person with guile has to self-promote is because the Holy Spirit isn’t. The Holy Spirit avoids promoting the one who seeks to advance his own kingdom. Let me share an experience I had several years ago in a remote part of the southern Kenyan bush country. I was asked to run our first pastors’ School of Ministry. During the planning phases, my host pastor pressed me several times to provide photos and finances to print advertising posters. The Lord told me to say no, that Jesus would never promote Himself. My host was extremely disappointed. He felt that without advertising, only about 12 pastors would show up. But I told him the Holy Spirit would send out the invitations. The day came to start the school. Over 250 pastors came! My host pastor was astonished. 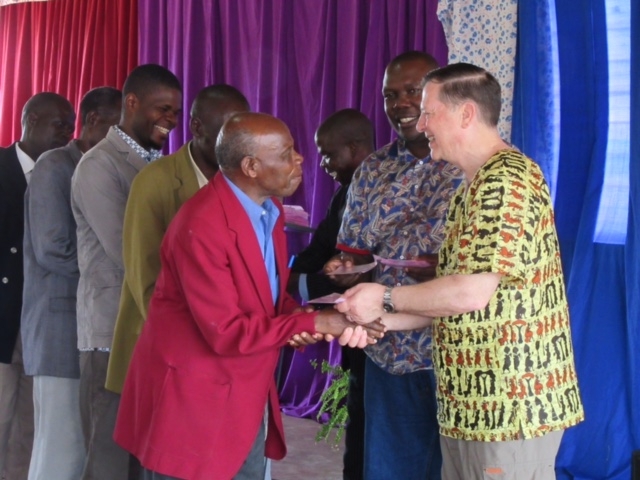 Not only did pastors arrive from all across the country but they came from all denominations. He explained that this was unheard of, even with advertising using banners towed behind low flying airplanes, as is commonly done in the bush. My host wanted me to pay for renting a sound system. I said no. Jesus did not need to use one, and I had no money. Now twelve years and 30,000+ pastor training school graduates later, I find the same principles apply. If we keep our hearts pure, and stop calculating our way into growing our ministry, if we instead learn to hear and obey the Lord’s voice only, then the Holy Spirit will partner with us. In Nathan, Jesus found a man who did not rely on his own agenda. He had no guile. When we seek God’s wisdom alone, when we wait for His direction, we do so from a place of rest. And in that place, we cease from our works, and thus He can do His. At Kingdom Faith Ministries International, we refuse to use guile. Instead, we teach pastors (nearly 10,000 this year alone) how to hear and obey God’s voice, how to operate all nine manifestations of Holy Spirit power, and how to overcome witchcraft and curses. We have never advertised. We let the Holy Spirit do that. He joyfully continues to do so as we keep our hearts pure and obedient without guile. Pastor, friend, are you like Nathan? Kingdom Faith Ministries International, Inc.